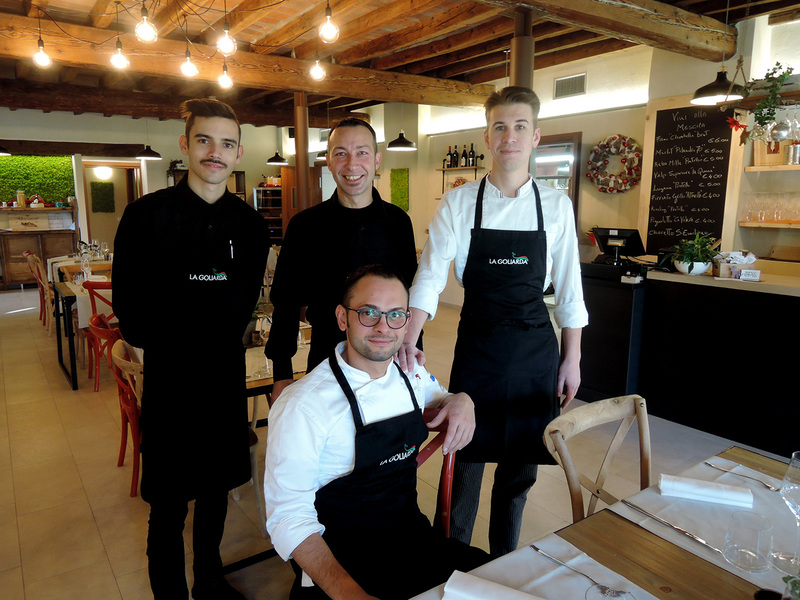 Locanda La Goliarda is the ideal place to experience delicious dishes to enjoy in a good company and to discover our passion for traditional cuisine in Mantua. Mantua has always boasted with a strong food and wine tradition, which is appreciated all over the world. The cuisine is based on the tradition of farming, but it is also rich and diverse as well as modern and innovative. Locanda La Goliarda is run by Cooperativa Santa Lucia and is located on the shores of Lago Superiore of Mantua. This restaurant is part of “Three Stars” project, which aim to develop social integration of people with mental diseases thanks to housing and employment opportunities. The restaurant is located in the ancient Barchessa of the farmstead, which functioned as stall for the farm animals and also as a granary. This elegant and welcoming location is surrounded by the wonderful Parco del Mincio and has been completely renovated is ideal to enjoy the nature and magic of the moment. Cooperativa Santa Lucia aims to promote a “social restaurant”, in which culture, art, food and social integration are the main values. “La Goliarda” cooking combines tradition, high-quality and innovation and enhances the local tastes thanks to originality. The core of the cooking art is well expressed by our Chef Aldo Fornasari: “I put nature, passion, origins and simplicity into our dishes”. Cooperativa Santa Lucia, with its several years’ experience in the catering industry and aware of the great potentials of this project, has invested its energy to create a new opportunity. The restaurant can host more than 50 people inside and during summer an outdoor place is also available, enjoying the events organized in our farmstead.